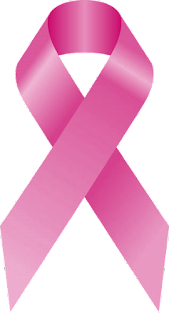 Breast cancer affects women of all ages, races, and lifestyles. It’s a devastating disease that can threaten a woman’s self-esteem, diminish her sense of femininity and be life threatening. Here, Marla Ahlgrimm offers pointers on reducing the risks of breast cancer. Q: How does obesity contribute to a woman’s risk of breast cancer? Marla Ahlgrimm: Fat cells produce estrogen from the time a woman is born. However, after menopause, fat cells become the body’s primary source of estrogen. An overweight woman will produce more estrogen than her average-weighted counterpart, increasing her chances of getting breast cancer. Additionally, obese women tend to have higher levels of insulin, which has also been linked to breast and other cancers. Q: Does a woman’s weight at any certain stage of her life have a more profound effect on her risk for breast cancer? Marla Ahlgrimm: Studies have found evidence that suggests weight gain later in life, and especially after menopause, contributes to a woman’s risk of breast cancer more so than weight acquired in the pre-teen stages. A woman who has always been obese will have a slightly lower chance of getting breast cancer than a similarly-sized woman who gained the excessive weight in adulthood. Q: How much weight should an obese woman lose to lower her risk? Marla Ahlgrimm: There is not a set number on the scale that will lower a woman’s risk. However, women should strive to achieve and maintain a healthy weight for their bone structure, height, and lifestyle. Any weight loss is generally beneficial. Q: What types of foods can help a woman achieve and maintain a healthy weight? Marla Ahlgrimm: Health experts have long suggested that a diet high in fruits and vegetables is one of the best defenses against cancer and many other health concerns such as diabetes.